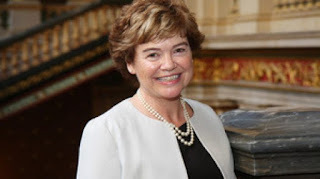 Catriona Laing, British high commissioner to Nigeria, insists that politicians who incite or execute violence during the 2019 elections in the country would have their visas banned. Laing who made this statement at the unveiling press conference of the Elections Situation Room of the Civil Society Situation Room by a coalition of civil society organizations (CSO) to monitor the poll in Abuja on Wednesday also declared that the assets of such politicians would be seized. She reminded political parties that apart from their assets being seized in the United Kingdom, they could experience a worst case scenario of prosecution. “We will apply this absolutely across board, it won’t be directed at any particular party, so we are monitoring and looking out for hate speech,” Laing said. “We are concerned with the Peoples Democratic Party (PDP) rally which has hate speech a lot and we will like to call that kind of thing out. “Our two worries are on security not just on the role the police will play to ensure peace but about the role individuals will play by getting angry or militias being paid to disrupt elections. “Then another worry is fake news, that is why we rely on CSOs and we will work with them to get information. According to Laing, democracy is a journey, though elections are not perfect in all the countries of the word because they all have challenges but what matters is if a country is making progress. She said that the Nigeria 2015 elections was historic and the world celebrated with the nation and that the African continent should exhibit same this time around. She said that was because if Nigeria could show that she can consolidate this election, then the world would think, yes, Nigeria is certainly moving in the right direction towards embedding democracy. Laing said that this mattered to the world especially to investors and it would send an incredibly strong signal to them. “It is hard work and you must do it to be proud of your achievement. “Looking back from the last election, there is that improvement and INEC performance has been strengthened due to civil societies. Laing said that CSOs have much stronger voices and that has made INEC stronger because they are the eyes and ears on ground ensuring transparency and inclusiveness. Mohamed Ibn Chambas, United Nations secretary general for West Africa and Sahel, thanked the CSOs for the launch of the situation room adding that it was a good work towards the elections. Ibn Chambas said that it showed that they were prepared for the elections and ready to monitor the voting process thus helping UN with ideas on the process in the country. He urged stakeholders to do what is right especially INEC and called on security agencies to play their roles in manners that would not compromise the process. This, he said would have a calming effect on people. Stuart Symington, America ambassador to Nigeria, said that the special thing with the situation room was not just about what the CSOs would say and do but about what every Nigerian would say and do. “The time has come for the outside world that cares so much about Nigeria to listen to the people of Nigeria and to see what each of them do and then forward the results to lift Nigeria up,” Stuart said. While Ketil Karlsen, head of EU delegation to Nigeria, remarked that the work of CSOs over the last years gave hope that continued consolidation of democracy clamoured for internally could happen. Karlsen said that another positive note was the signing of peace accord by presidential candidates earlier on Wednesday. He added that our hope is that the trend would resonate and continue beyond Election Day, and that this would enhance democracy in Nigeria. Jude Illoh, country director of Open Society for West Africa (OSIWA), said that though there a lot of apprehension about the election but Nigeria would overcome it. Illoh said that Nigeria’s democracy had experienced good progress adding that Nigeria is a country of survivals. “We have defied dictators, we have defied civil war and everything you can imagine, insurgency terrorism everything thrown at us we are still standing,” Illoh said. “I can tell you that the morning after the election we will be standing as a country proudly Nigerians. Clement Nwankwo, convener of the Situation Room said that the group sent more than 8000 observers to cover the 774 local government areas. Nwankwo said that the situation room would help monitor the election and give Nigerians information as it come in order to guarantee free, fair and credible elections.